889 doesn’t go out without the TerraShield Spray! When it comes to outdoor protection, no defense is better than Mother Nature’s offerings. 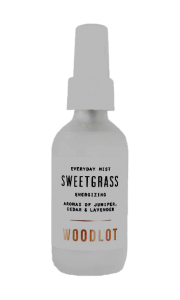 TerraShield Spray is formulated with powerful essential oils and other plant oils known to provide outdoor protection in a natural, safe way. 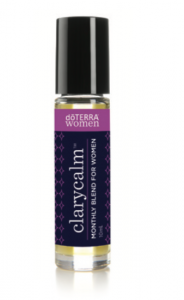 This newly updated formula contains a select blend of essential oils including Ylang Ylang, Cedarwood, Catnip, Lemon Eucalyptus, Litsea, Arborvitae, Nootka, and Vanilla Bean Absolute—all of which possess specific chemical compounds known to protect against environmental annoyances. The addition of Tamanu oil provides added support and through doTERRA’s Co-Impact Sourcing®, the harvesting of Tamanu oil is positively affecting the livelihood of harvesters in Madagascar. TerraShield Spray is a powerful yet safe formula that can be used by every member of the family, outdoors and throughout the home. 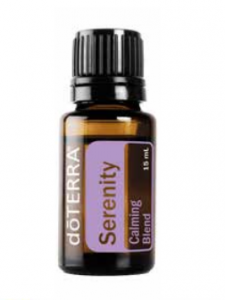 Note: Discounts do not apply to doTERRA products. 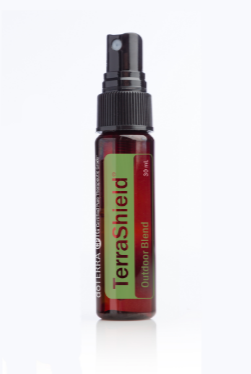 Use TerraShield on your legs, arms, and neck before going outdoors or diffuse on your patio.